Buy one of these, but don't tell your better half and claim all the glory for as long as you dare. 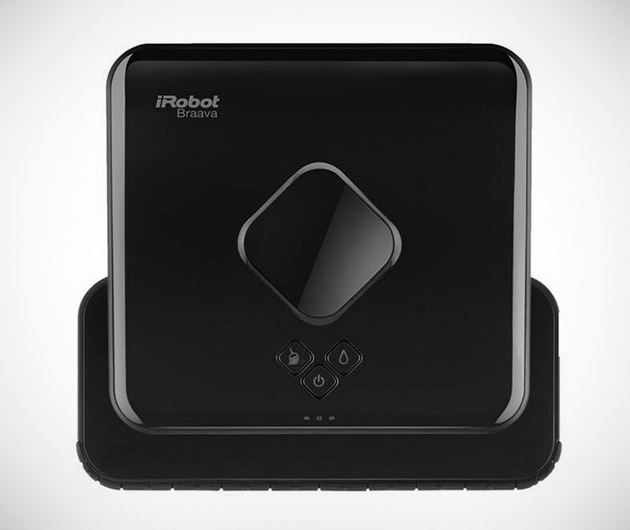 The iRobot Braava uses disposable or reusable microfiber cleaning cloths to dry and damp mop your hard surface floors. Brilliant technology ensures it does it speedily, covering every inch of your living space in one single pass, leaving you free to put your feet up with a beer. You deserve it.